Paint Sheen refers to the level of shine in the paint. Exactly what does it mean when a painter refers to the sheen of paint you need to choose when painting your home. The sheen or otherwise known or referred to as finish of your paint is simply how shiny do you want it to look once it’s been applied. 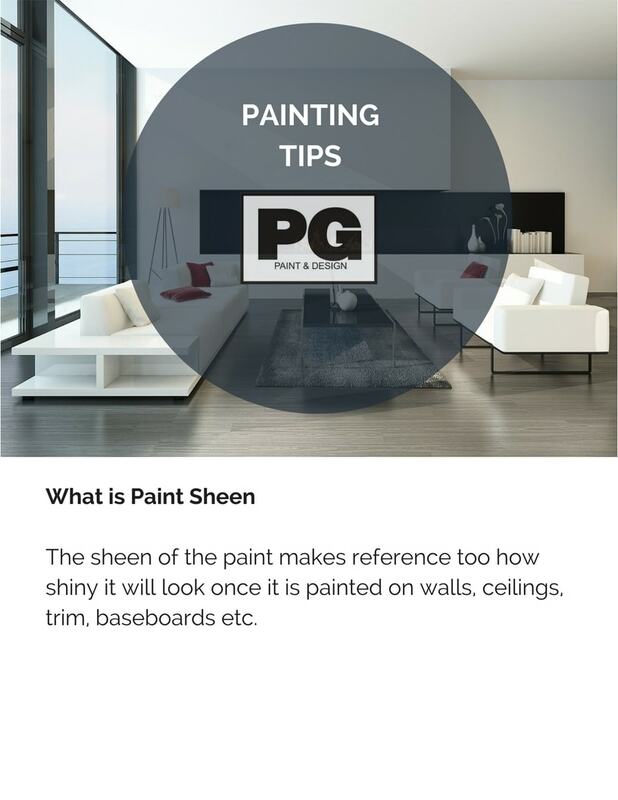 The sheen or finish will have an impact on the end results when painting walls, trim or baseboards. The higher the sheen the more shine there will be to the paint. This will reflect any imperfections in the drywall repairs or lack of repairs on your walls once the paint is applied. The lighting reflection will also be a factor in the appearance of the imperfections. Paint finish can enhance the appearance of any holes, bumps in the drywall and imperfections. The higher the gloss of paint you choose the more the imperfections will show. A flat or matte finish will hide more of the imperfections but does not withstand too much of the cleaning up. For example, in kitchens and bathrooms, entrance ways, even family rooms you may want to use a semi-gloss or gloss or satin finish as they tend to withstand the everyday high traffic of dirty hands, grease and food splatter, and anything else you throw it’s way. Cleaning up walls painted with the semi-gloss, gloss or satin finish is as easy as a damp cloth with soap. It can even withstand some extra elbow grease and can be scrubbed and it won’t be any worse for the wear. Rather than the flat or matte finish of which will show where you tried to remove the crayon mark, the spaghetti sauce or whatever ends up on the wall. The smallest of wipes can sometimes be frustrating as they will show up and be bothersome. It’s a more delicate paint finish. 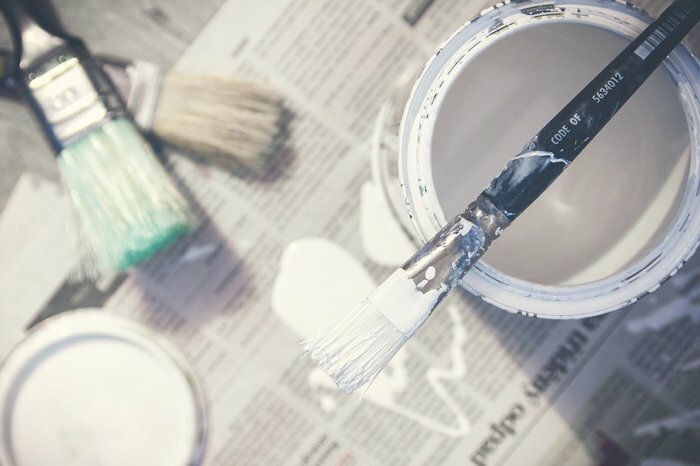 Choosing the right paint finish to use ultimately comes down to how much homeowners are willing to spend to get a professional result. The cost of painting is factored in to the estimate when you hire a contractor. 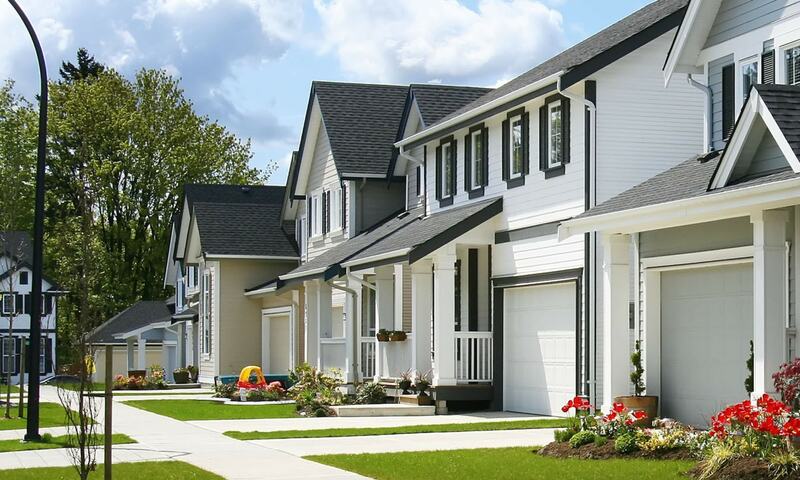 is decided from the quality of paint products you ultimately choose. As professional painters we have been using the Benjamin Moore Paint Products for all our years in business. 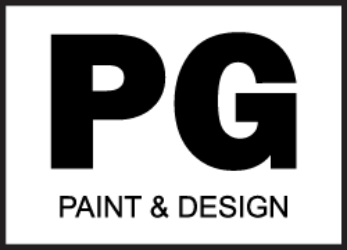 We find it is a good paint product to work with, easy to apply, best end results and painting finish. Aura Paints is a superior paint for kitchens and bathrooms and laundry rooms, with high traffic and high moisture/humidity levels. It can withstand any kind of everyday, normal life events you can throw at it. The Aura Paint collection comes in every imaginable colour selection, it is on the higher end spectrum of paint products but worth the extra cost. Painting with Aura paints requires an expert painter that knows the finesse of painting with Aura paints. It needs to be properly brushed and or rolled or it can leave you with walls that look streaky, or look like the paint is dripping. If you need to hire professional painters ask them if they have the experience in painting with the Aura paints, this way you will end up with the perfectly painted walls you paid enough for in both the cost of paint and hiring someone to do it for you. Without a doubt there are plenty of DIY videos out there on how to paint with aura paints but be mindful that the cost of buying it, painting with it and then you are not happy with it may not be your favoured option, you may want to hire a painting company. Start the conversation with a painter that knows how to paint with the Aura paint collection.